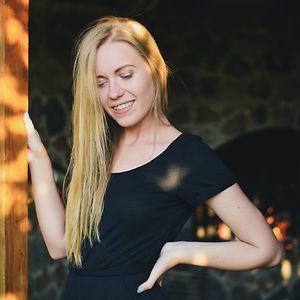 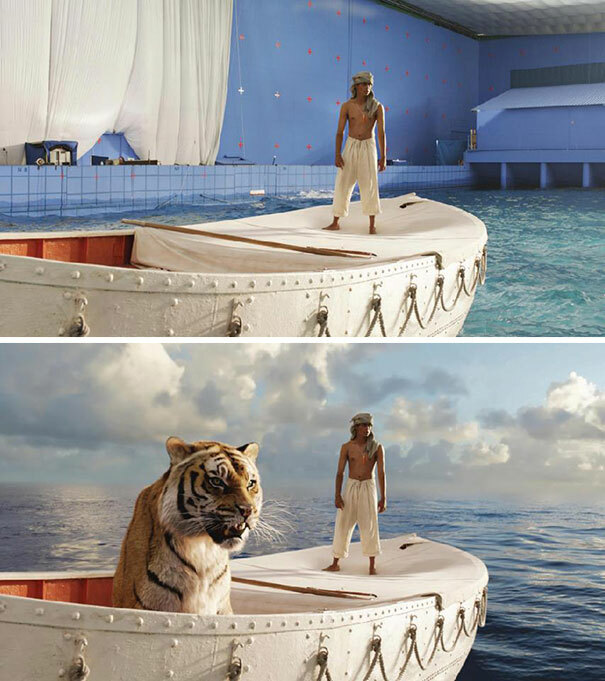 We all know that movie and TV producers use VFX (short for visual effects), but you’ll be surprised to learn just how extensively they’re used to create movie magic! 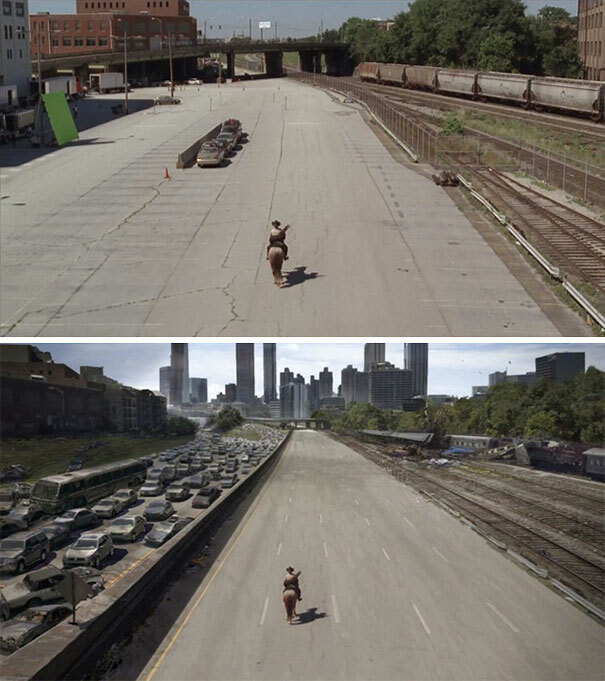 These photos reveal just how much your favorite shows and movies rely on the magic of VFX. 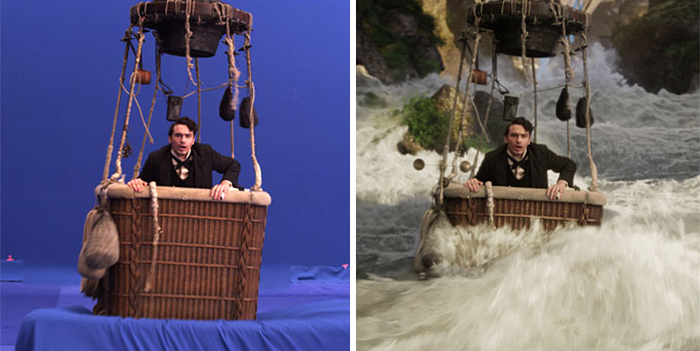 Green-screens aren’t always green – they are also often blue, but they can technically be of any color, as long as this color is not being worn by any of the actors. 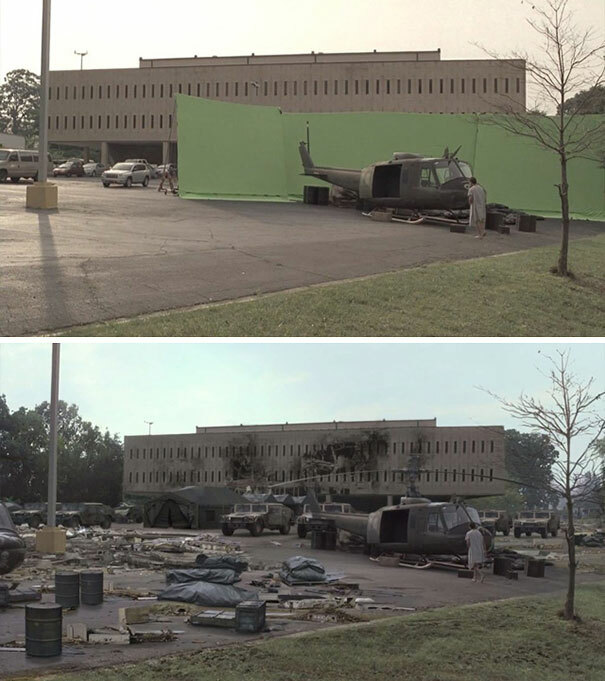 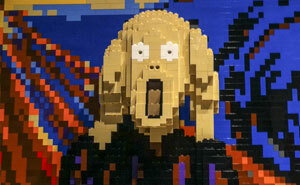 When these scenes are recorded, the green-screen color is digitally selected and made transparent by special software. 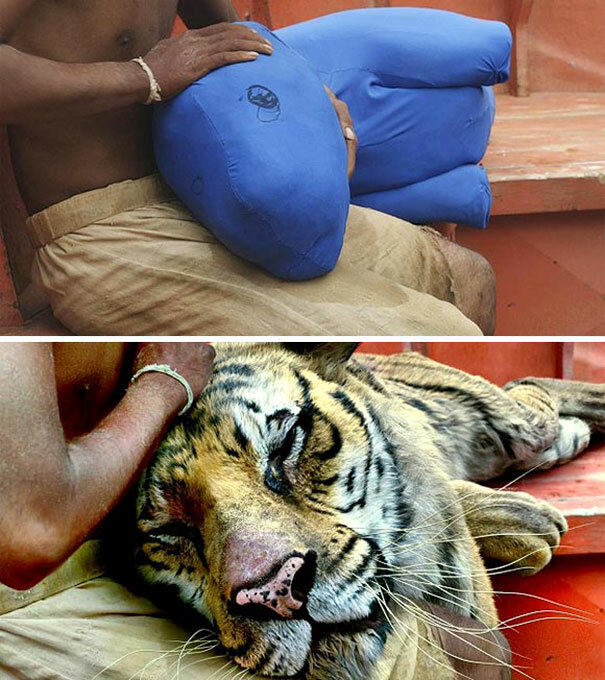 If the color selected was one also being worn by the actors, they would appear to have had holes punched right through them!